Learning to read is hard for young children. This book makes it fun and interactive. 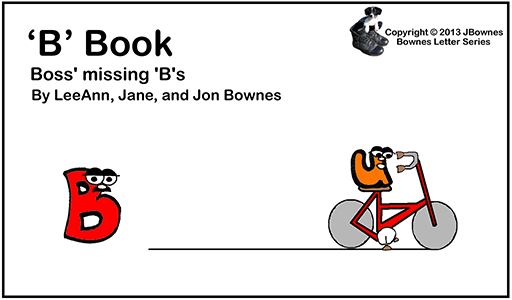 We’re the Bownes family Jane, Jon, and LeeAnn. LeeAnn is at the age where she is learning to read and enjoys creating stories. Our goal, with this book series, is to encourage and develop LeeAnn’s storytelling skills. We had a great time creating this book and look forward to making more. LeeAnn Bownes – digital artwork, hand drawn artwork, and story editing. Jon Bownes – digitalizing artwork, page layout, story editing, and project coordination. Please enjoy the activity and coloring PDF files. If you have any suggestions contact us at jbownes2017@gmail.com.